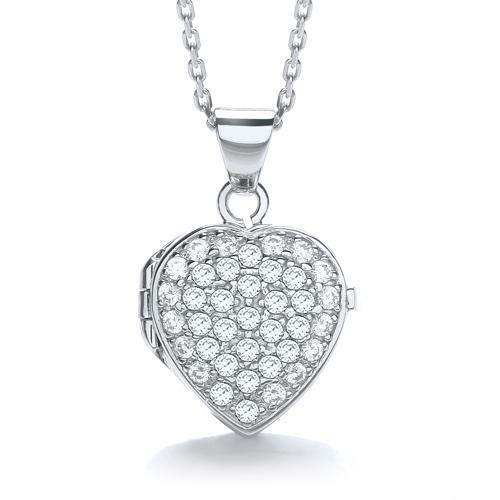 Sterling silver cubic zirconia heart shaped locket. 925 sterling silver and cubic zirconia. Suspended on a silver rhodium plated, diamond cut trace chain that can be worn as 16" or 18". Locket holds two pictures. Measures 15mm x 15mm. Complete with presentation box. Please allow 3 working days for free UK delivery.